So we have covered the NYX Butter lipstick and the Butter Gloss here so far. Today we have the NYX Mat Rouge a Levres in Alabama swatched for you and my word, is this a lovely color! I knew I would like it, even before I put it on! 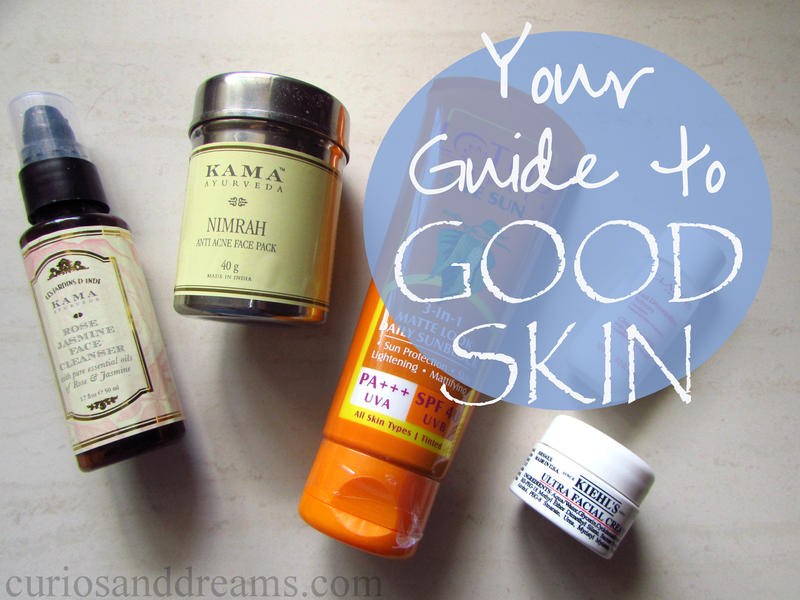 Guide to Good Skin : Tailor your regimen! Good skin starts with good sense. Learning to identify your skin's daily needs and working with it can make a huge difference in the way it looks. Very often, we get into the habit of sticking to one product, ignoring the little signs our body exhibits. When I moved to another city for college, I went through a phase when my skin went bonkers. I'm sure you'll remember some old posts where I mentioned how I was battling oiliness and dullness, and occasional acne bouts with very little success. It took a while for me to realize the importance of what I was blindly overlooking! The state of your skin is your best guide to know how to restore its radiance! You all probably know by now that Garnier revamped their old Ultra Doux range and launched the new Ultra Blends a few weeks back. I was quite excited to try these out, I had fond good memories of the old ones and my expectations with these new ones were quite high. If you love cakes...say yes! If you go to a bakery or cafe, and end up ordering red velvet cupcakes every time they're available...say yes! If you dream about baking the perfect red velvet cake someday...say yes! Anyway, you're on board now, and I have here the NYX Butter Gloss in Red Velvet to tempt you further. Can't go wrong with a shade named that delicious. It's a classic and you know it! If you are an Indian girl, you will definitely have a kajal in your stash, even if you aren't much into makeup...but then who considers kajal as makeup?! Right? We wake up in the morning and put it on before heading out just like we would do with our creams and shoes. No thinking required there. The last one I tested was the Lotus Colorkick one (reveiwed here), and while that fared well, it was time to test out a new one after it :) So here's the new L’Oreal Paris Kajal Magique Bold. Today, the Butter Lipstick in the shade Fireball. If you'll ask my mom about her skin care favorites, I can pretty much guarantee that this eye cream will be ranked quite high on the list. As her skin matures, I have seen her become more conscious of its appearance, and stricter with following a regimen. She has adhered to using the Revitalift range, as I've mentioned in earlier posts, it did show appreciable results on her skin. This transforming eye cream is no exception, although it did take a few tubes of usage to finally get a thumbs up! Over the past few months, I have really started to grow my brush collection. And with that, came the ever tedious task to keep them clean all time. Let's face it, nobody wants an abundance of bacterial flora building up on those beautiful bristles! I especially, went through a very bad phase of acne so as an aftermath, my OCD with cleanliness hit new heights. I know that only the thought of meticulously scrubbing each brush clean is daunting, and honestly, a little boring too. But being scared for my skin, I pushed myself to do it anyway. And then a while back when I spotted this little tool, I just had to pick it up! I have a Brush Egg! You know I love Maybelline mascaras in general. You also know that I recently tried their their newest one Magnum Barbie mascara and it left me quite disappointed. Around 6 months back, my skin was experiencing a very severe attack of acne. Alhough that has come down a lot now, I am still battling with scars, but that is a story for another time. Desperate attempts to bring the acne under control led me to the Vichy counter. I remember wanting to buy the night cream version, but it was out of stock. I got the Vichy Normaderm Anti-Imperfection Hydrating Care instead. (If you would ask me off-chance on any regular day, I wouldn't even remember the name...some Vichy anti imperfection cream I would say. I'm bad with names!). I have a bit of an OCD...there I said it out loud! It's not the crazy kind though. Just the one which makes good sense. Like having everything around me organized. I like having a place for everything and keeping them right there, and I cannot find peace in clutter. To the point that if I am about to sit down and work (studies or blogging) I cannot concentrate until everything is proper around me. Good sense yeah? I have wandered in Landmark and Crossword in search for good diaries, journals, notebooks something that could cover everything I needed, never to find anything that could quite serve my purpose. I even gave up and decided to print me a customised one. Then I came across Nirmala Franklin! Show me makeup that looks pretty and my heart starts singing...tra-la-la-la-la! So much so, that I will annoy everyone around me and probably buy it, just because it looks so pwettyyy in the pan. And then will not end up using it because it looks so pwettyyy in the pan! So, when the I opened the NYX Ombre Blush, I stared at it for an hour...all the time saying to myself..Oooohh! It took me a while to finally have the heart to swatch it and try it on. And then it was love. My love for Kama Ayurveda products is well know to you all by now, I am sure. Show me good natural organic skincare products and I am game. I love going back to natural homemade masks and skincare products. Although, being away from home comes with its cons. I do not have access to a kitchen stocked up on ingredients beneficial for the skin. My search for effective natural organic face masks is thus always on. This is how I came across the Kama Ayurveda Lavanya Natural Plant Mask. I had not used any of their face masks before, but I have always loved their Mridul Soap free cleanser (highly recommend that one). A while back when L'Oreal launched the Pure Reds collection, I was smitten. Such a versatile collection to suit a range of skin tones and occasions! How is a girl supposed to pick just one? With the advent of monsoon, I'm really getting into the Fuji Green Tea range by The Body Shop. I like how the fresh green fragrance echoes the weather outside, and for the past week, I cannot get enough of it! I already shared my love for the Green Tea Eau de Colonge a few weeks back. The whole world was raving about Micellar waters since a few years now. Me being me, naturally had to take my time to try and test one out. You see, there is not point in buying things unless you really need them sometimes. Why then did I finally get a bottle of the Bioderma Sensibo H2O? Breakouts. 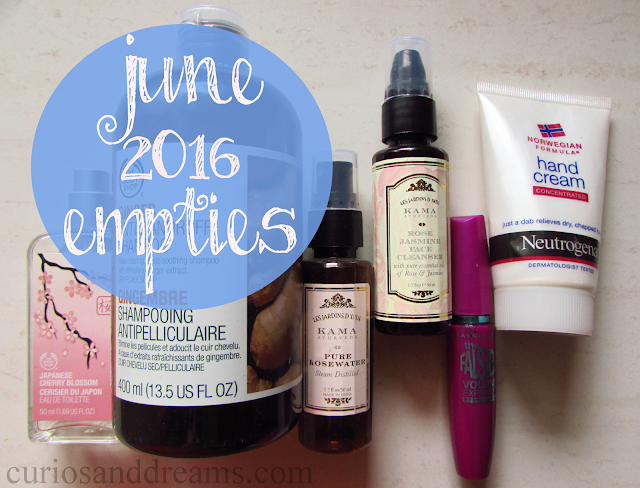 Terrible terrible breakouts. This was about 6-8 months back and I resorted to all means to fix the problem. Apart from correcting and changing my skincare produtcs a bit, I also paid special attention to my cleansing routine (which I wasn't very bothered with before). You see, eariler a simple face wash would suffice. But with the breakouts, came layering quite a bit of concealer everytime I stepped out. Which meant I needed something effective to take all of that once back home. And so, the time to try out micellar waters was perfect. India, sadly doesn't have many options as far as micellar waters go and I went for the most popular one. Bioderma. Tangle Teezer Compact Styler : Is it worth the buy? Remember the time when it felt like the whole world was going ga-ga over the Tangle Teezer? I was pretty fascinated too and wondered if it would be as effective as everyone said it was. 1. Could I use it without ending up looking like a clown? 2. The Indian market has a serious dearth of good matte bronzers. Shimmer in a contour powder? Hell no! I couldn't find a good one for a very long time and then I came across this beauty from Freedom Makeup (on Nykaa if I remember). And though they are an intergral part of my Winter bath essentials (read here), I actually cannot imagine even the other seasons without them.